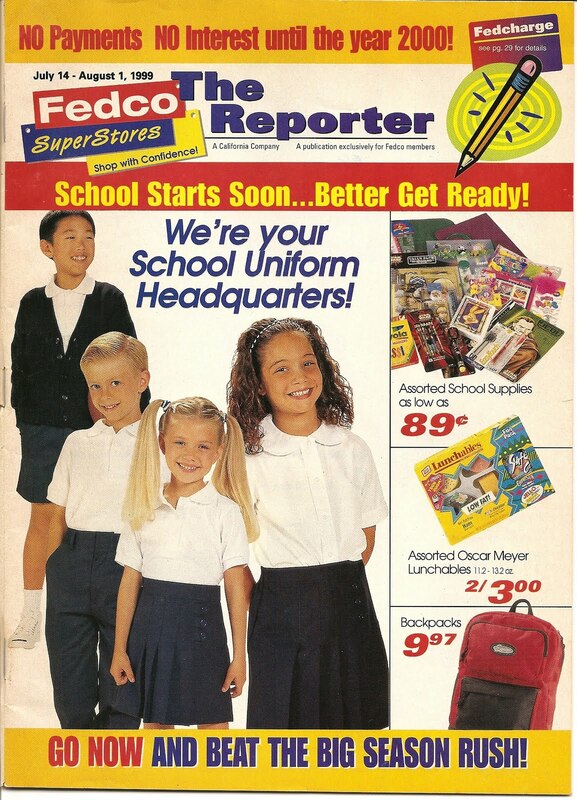 Brief description -------This is the last issue of the FEDCO reporter before they went out of business in 1999. Front cover, back cover with membership card and pages 14 and 15. This issue was mailed out just before FEDCO announced they were going out of business. FEDCO (Federal Employees Distributing Company, 1949-1999) was located at 14920 Raymer Street between Van Nuys Blvd and Sepulveda Blvd. They also had other locations across Southern California . FEDCO, I believe, was the first department store in Southern California to have controlled membership as a requirement for shopping there. I can't find an RSS feed for this blog? Can someone message me at hey_fritters (at) hotmail (dot) com with the RSS feed address so I can follow this?